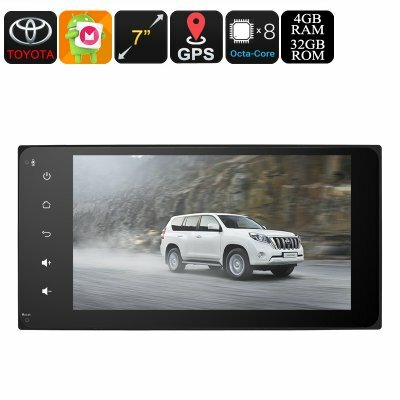 Successfully Added 2 DIN Car Stereo - Universal Toyota, 7 Inch Display, Android 8.0.1, Bluetooth, 3G&4G Support, WiFi, GPS, Octa-Core CPU, 4GB RAM to your Shopping Cart. Take your Toyota to the 21st century with this stunning Universal 2 DIN car stereo. This media player for in your car features an Android operating system. Thanks to this, it is so much more than a regular car stereo. Besides supporting regular AM/FM radio frequencies, you’ll be able to play MP3 and MP4 files. Added to that, it supports Bluetooth. This means you’ll be able to sync it with your smartphone or tablet and listen to all your favorite songs in your mobile music library. But there is more. With its Android 8.0.1 operating system, this car media player lets you play games, watch movies, and even browse the web from your dashboard. By supporting both WiFi and 3G connectivity, this car media player keeps you connected at all times. From now on, you’ll be able to download files through the Play Store, stream movies, and browse the web. With this Toyota car stereo at your side, you’ll be able to entertain all your passengers throughout the entire trip. This will come in particularly handy to keep your kids busy during your upcoming summer holidays. The two DIN car stereo packs an Octa-Core CPU and 4GB of RAM. This hardware brings along plenty of power that lets you enjoy all the basic software features and games out there. With its 7 Inch HD display, your passengers will be able to enjoy crisp 1024x600p resolution from the comfort of their chair. This means that they can undergo a true cinematic experience without ever having to leave your vehicle. Besides the 32GB of internal memory, this car accessory supports external data input via SD card and USB. Your car gadget is furthermore easy to install and supports CAN BUS. The latter allows you to control all its settings and browse through its features by using the buttons on your setting wheel. This brings along great usability and lets you control, for instance, the volume without getting distracted. Besides all its entertainment features, this car stereo also brings along a highly accurate GPS navigation system. This 20-channel GPS runs on Android maps and provides you with the latest traffic information no matter where you are. From now on, you’ll be able to leave your house with confidence as you’ll never have to fear about getting lost again. With this navigation system, you will always reach your destination in the fastest way possible. 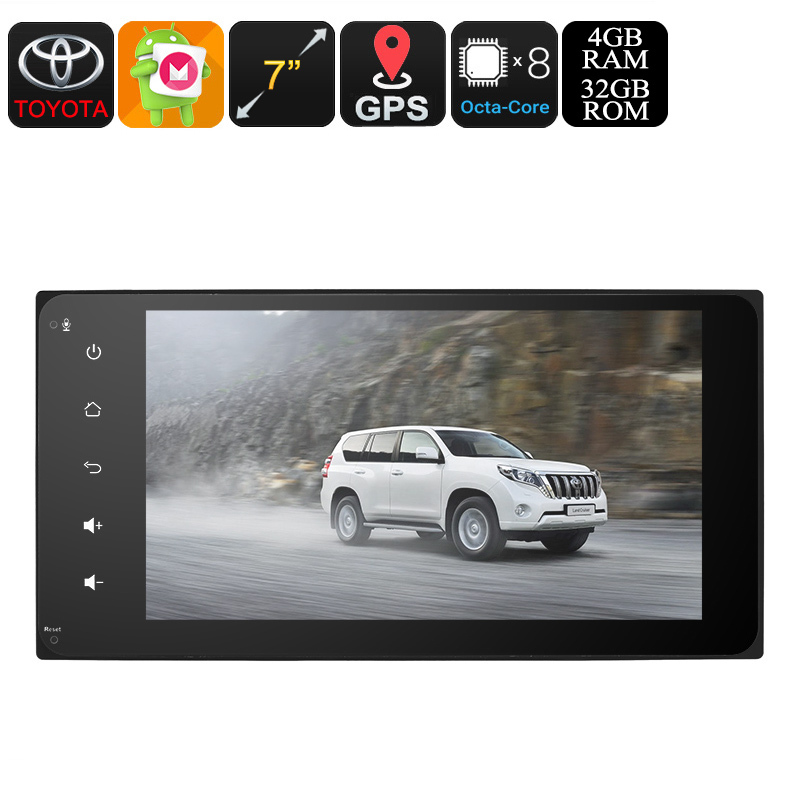 This 2 DIN car media player comes with a 12 months warranty, brought to you by the leader in electronic devices as well as wholesale electronic gadgets..